The best way to get to know a community is by scheduling a tour. See the facilities, meet the staff and residents, and get a feel first hand what it's like to live at Hillsboro Senior Living at Rock Creek Assisted Living. Our homes are located in the SE Denver/Aurora area. The caring staff would like to encourage you to contact us to arrange a personalized tour. 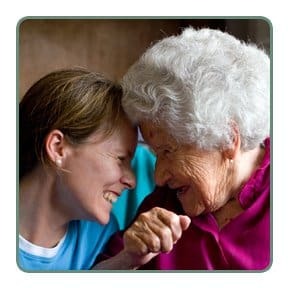 Our spacious Assisted Living homes have a vibrant, warm and friendly atmosphere. We are situated in centrally located quiet neighborhoods, providing a safe and enjoyable place to live, take walks and spend a little time outside. No busy streets adjoin the homes. Shopping, churches, medical offices and a variety of restaurants are all nearby. When you compare our large spacious homes, location and services we are confident you will agree that Rock Creek Assisted Living is the best assisted living value in the SE Denver/Aurora area.